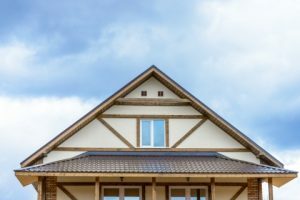 Whether you are a new homeowner, or this is your 10th buy on the market, there are multiple things to be aware of regarding large investments, such as your roof. From old to new-builds, we have created a compiled list to ensure you are setting yourself up for success. When getting into your new home, before making any assumptions or decisions, it’s most beneficial for you to simply have your roof inspected by a professional. While taking a look around and checking any crawl spaces, attics, or top floor ceilings is always a good idea, it can be easy to miss small indicators to a bigger problem. Professionals have trained eyes to identify and determine if the roof needs to be repaired or fully removed. Don’t take a chance on a new home, get an inspection. At A&H Forensic Roofing, we offer free inspections with the promise of a friendly face who’s on your side. Call today to schedule your inspection and avoid potential roof disasters. One of the most crucial pieces of your roof is the flashing. Because it flushes away water and debris from your house, instead of down your wall, in your plumbing pipe, or down your chimney, it’s imperative to know the status of it. Throughout seasons, the house foundation and structure can shift and settle, which has the potential to cause issues with the roof and walls intersect. The material your flashing is made out of will determine the maintenance that is required, should something be identified and require repair. An easy identifier to know your flashing may need looked at is looking for any discoloration on any areas in the home, such as drywall or a skylight. We understand, roof maintenance, repair, and replacement can get very expensive. In the midst of buying a home, it’s easy to overlook the suggestions marked on the inspection as “not too bad” and deem them to be tended to at a later date. 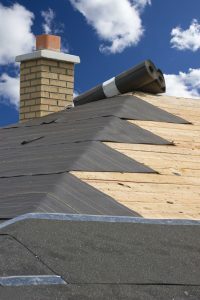 However, it’s important to understand that if there was something worth mentioning by the roofing inspector, it’s worth noting and looking into. Problems that are left unattended for any length of time can cause serious issues down the road. Also, your homeowner’s insurance policy will take into account the age and condition of your roof. So if you choose to avoid the problems when they’re minor, there’s a chance they can flare up and cost you a lot more. Don’t wait to make the repairs a professional suggests. At A&H Forensic Roofing, we strive to build your trust as well as your roof, to the reliable state it should be. We offer free inspections for your roof as part of our promise that you’re only getting our best from the very beginning. As a new homeowner, make sure you’re prepared for anything your roof may throw at you, and have a team on your side. Call A&H Forensic Roofing today and schedule your free inspection. Don’t worry, we have you covered.